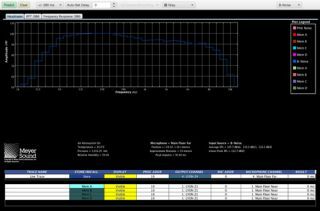 The What: Meyer Sound's MAPP XT shows the maximum levels to which Meyer Sound loudspeaker systems can be driven while maintaining linear performance, empowering customers to specify high-performance systems that reflect the needs of their shows. The What Else: Headroom information is the most significant new feature in MAPP XT, and can be viewed from the perspectives of two different input signals. They include the traditional broadband pink noise and B-Noise, a new input signal designed to better represent the most common input spectrum in real-world applications.